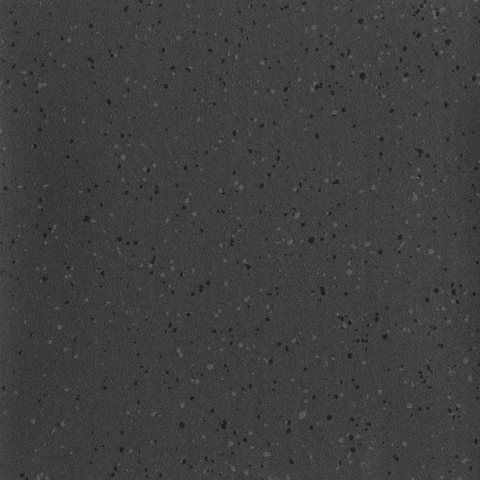 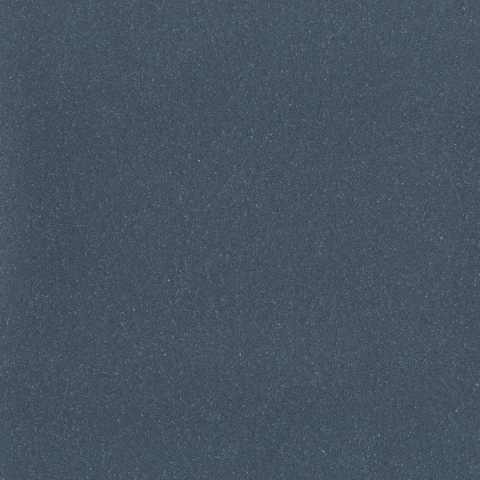 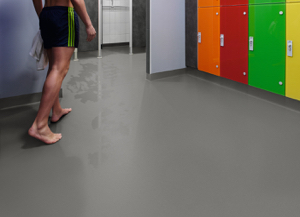 Designed for High Risk environments Polysafe Quattro PUR is the ultimate next generation of safety flooring. 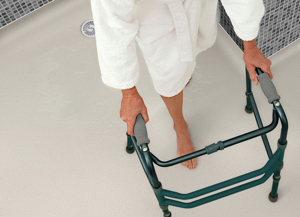 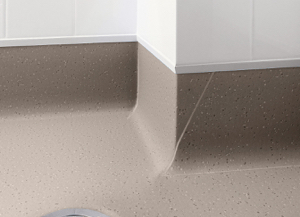 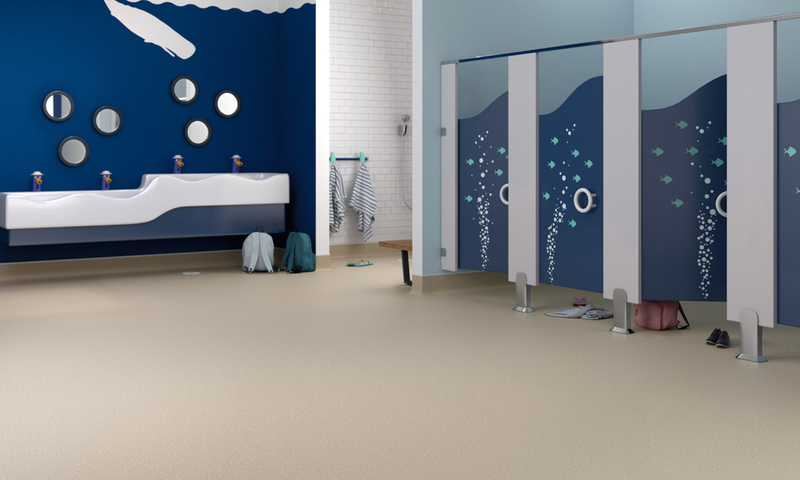 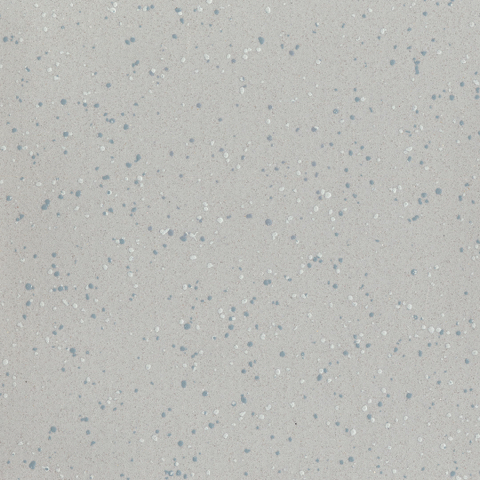 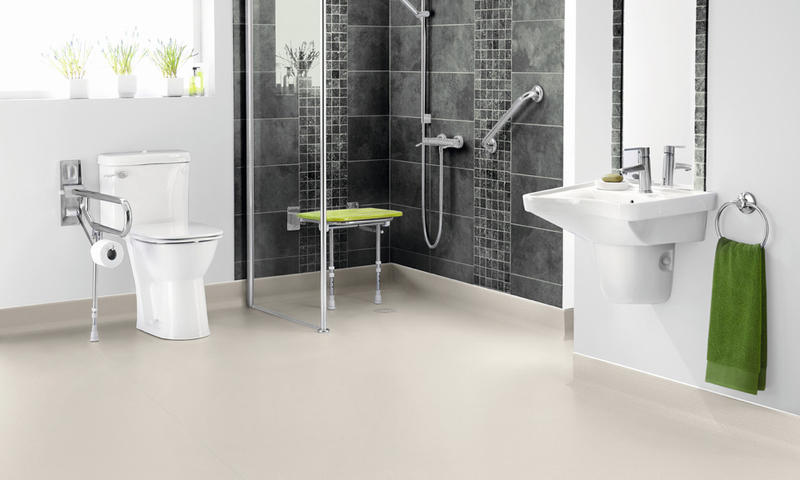 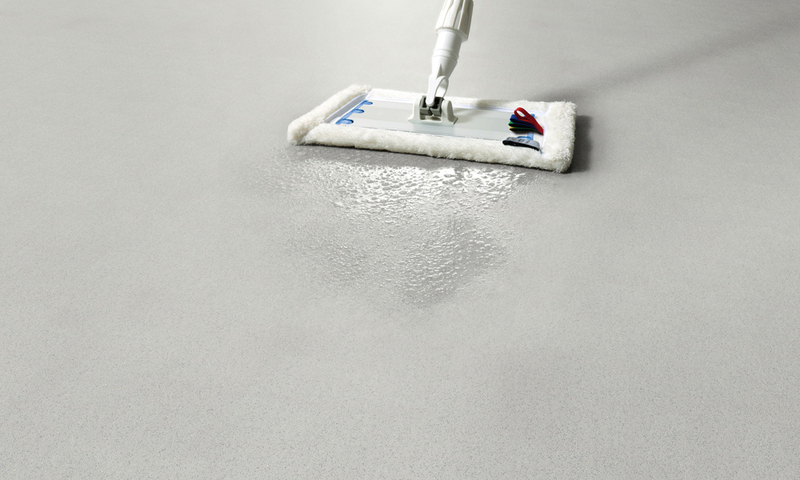 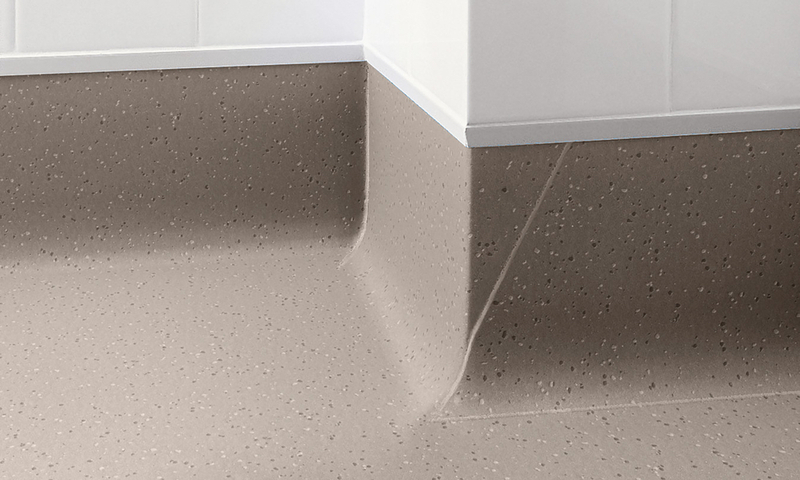 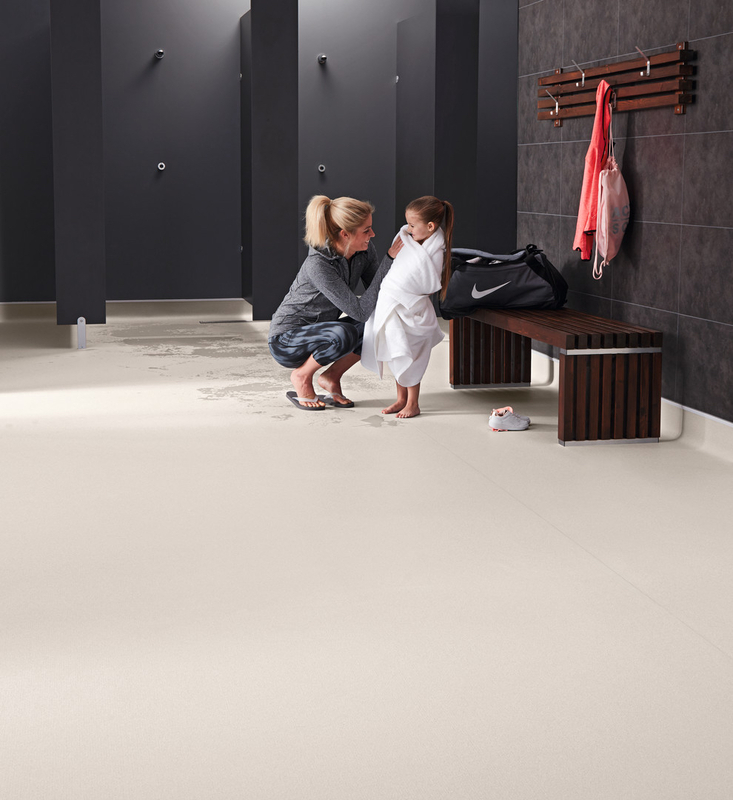 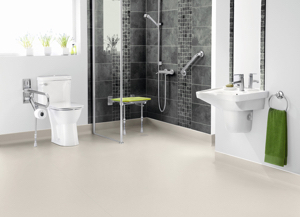 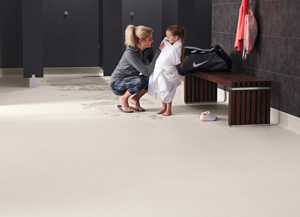 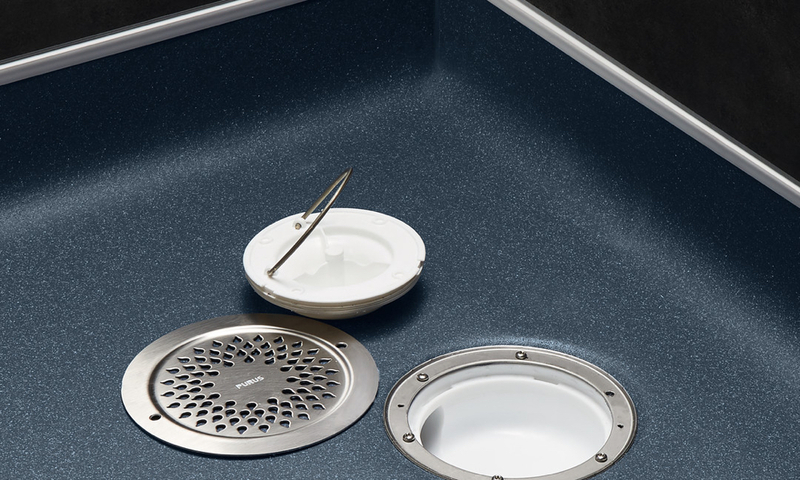 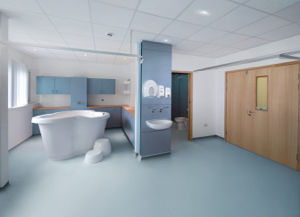 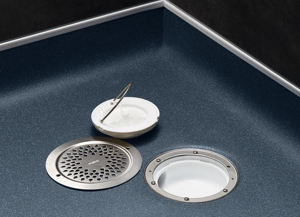 Polysafe Quattro PUR has been specifically designed to provide a high degree of slip resistance whether wearing footwear or being barefoot in continually wet areas where additional contaminants such as shampoo and shower gels maybe present. 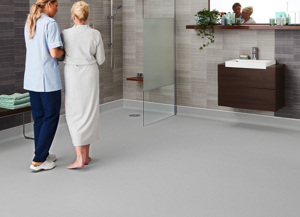 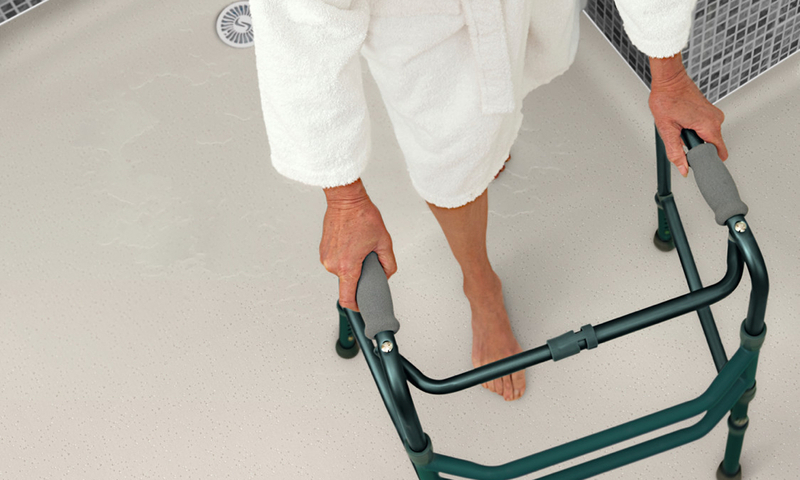 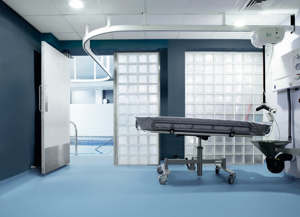 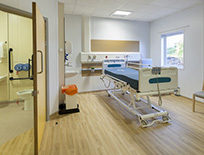 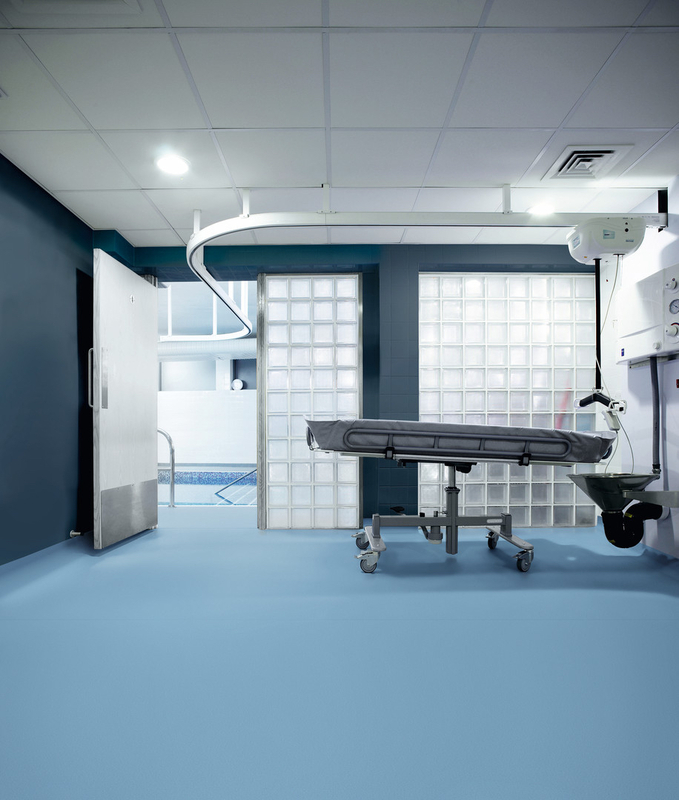 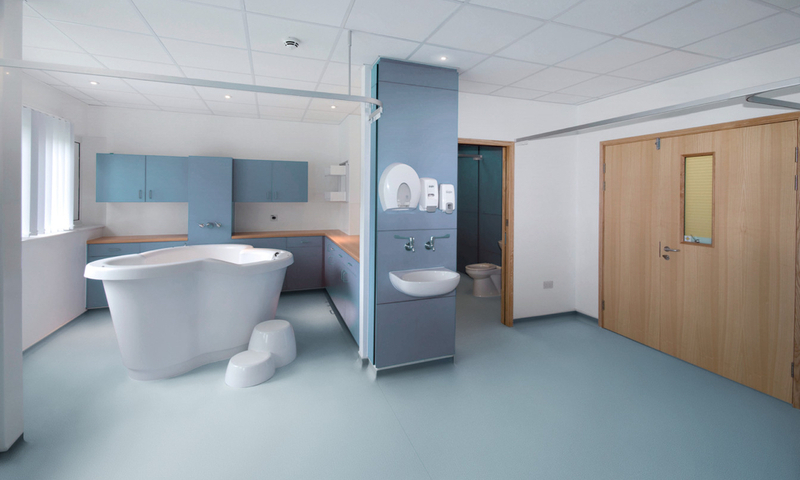 The choice of floorcovering in healthcare, aged care and specialist care environments can have a significant impact on the health and well-being of residents and staff. 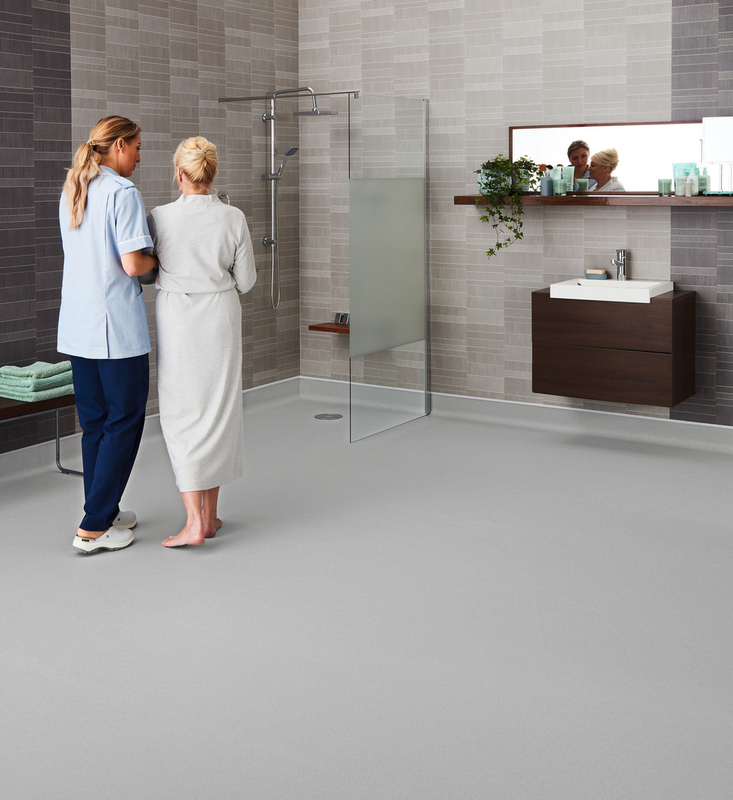 Quattro has been designed to enhance interiors, offering a practical solution where people can feel comfortable and safe. 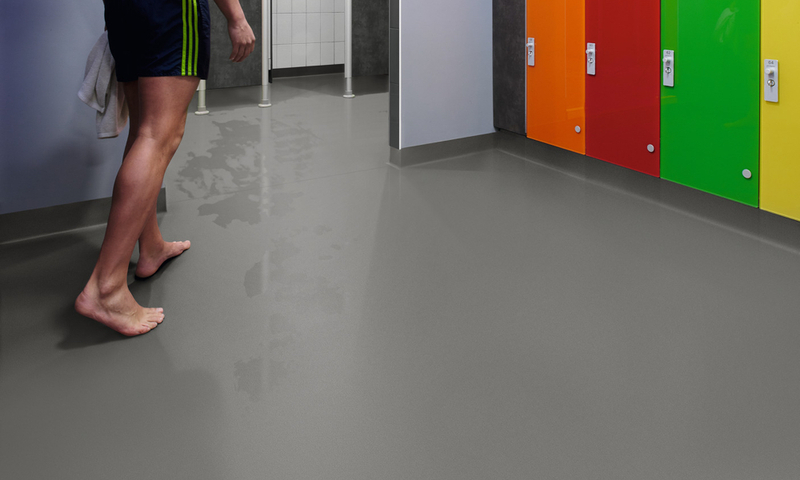 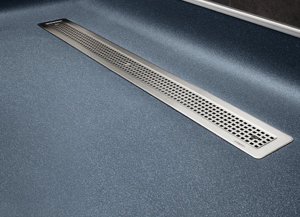 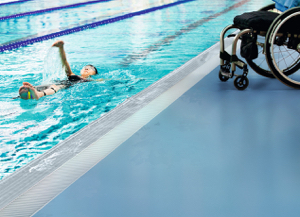 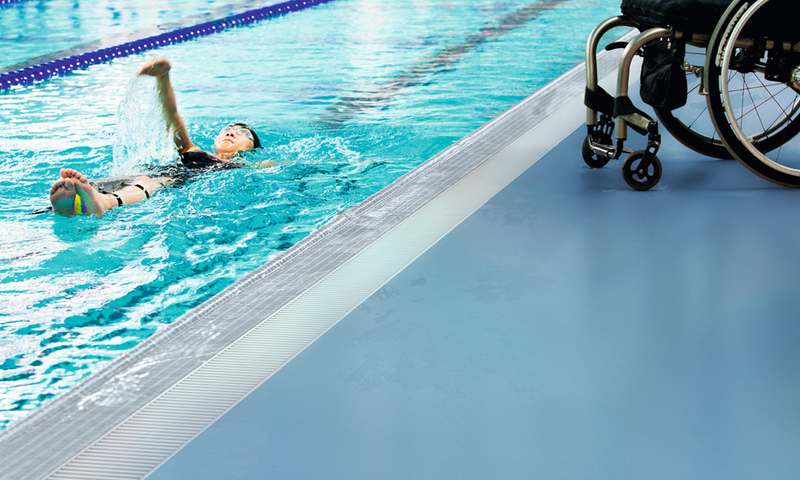 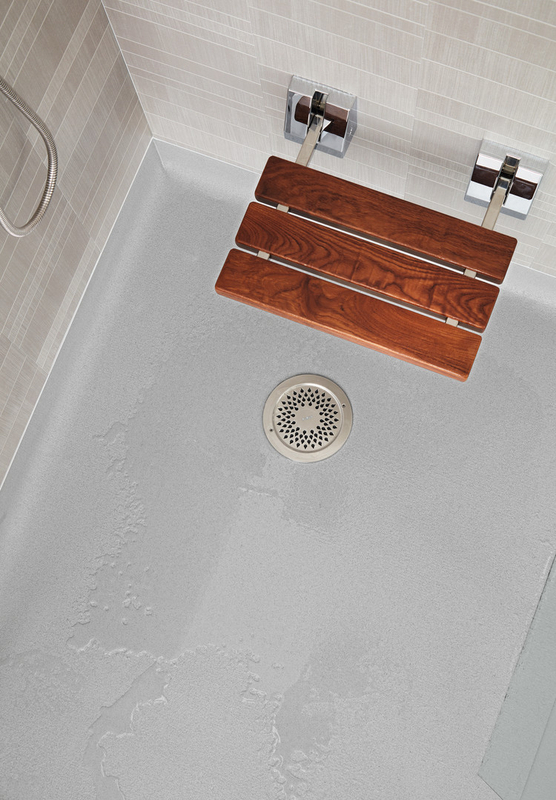 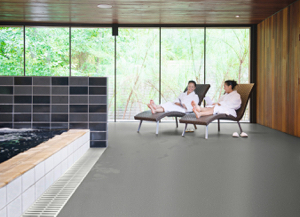 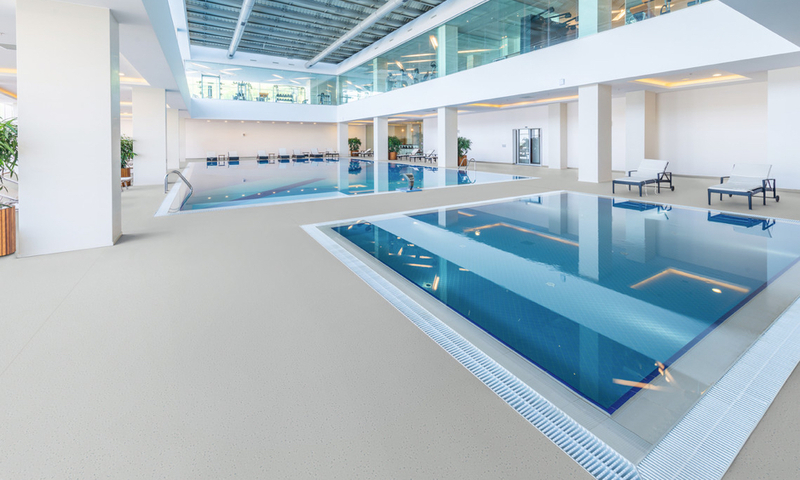 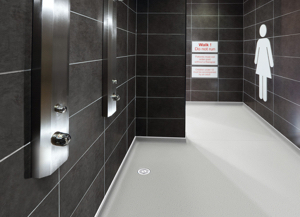 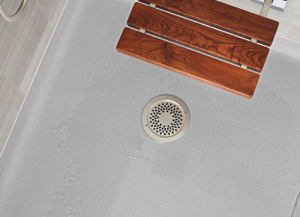 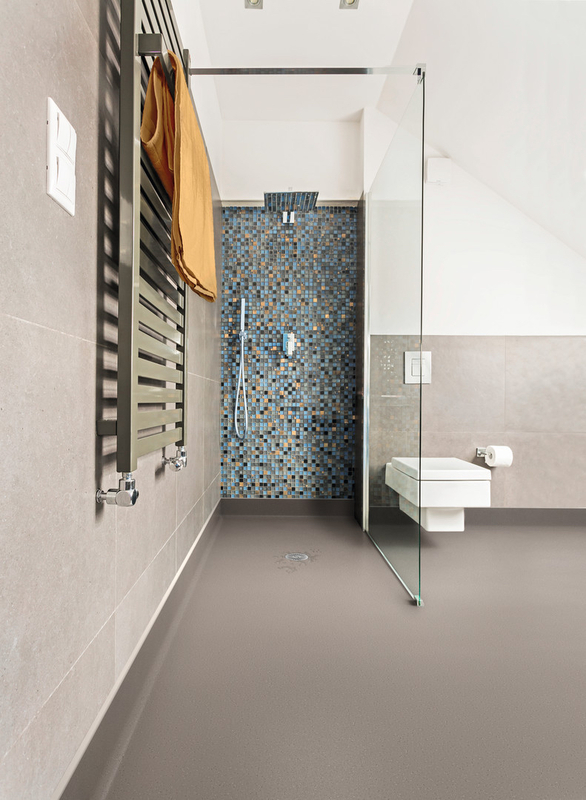 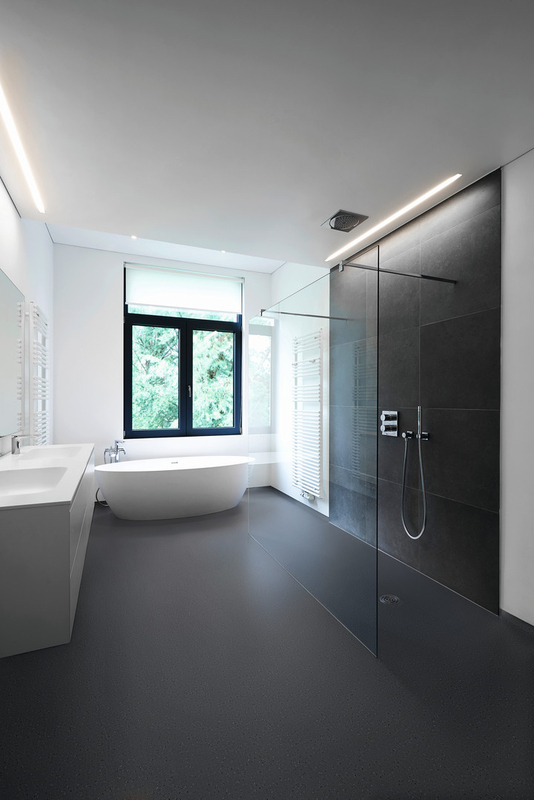 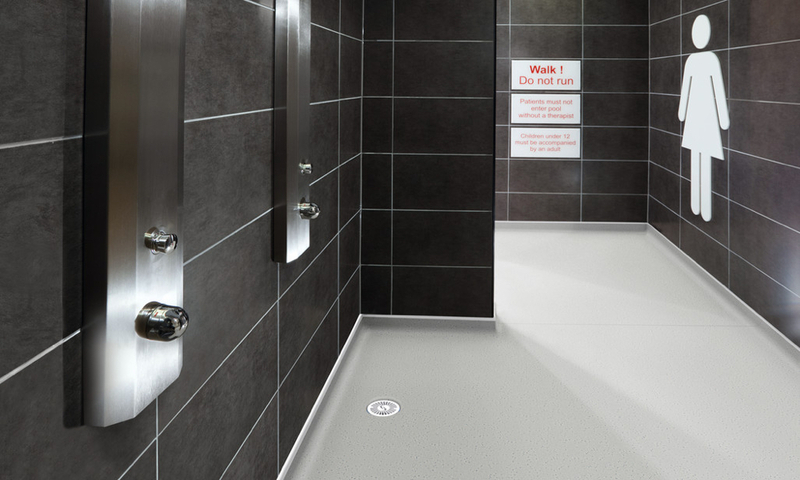 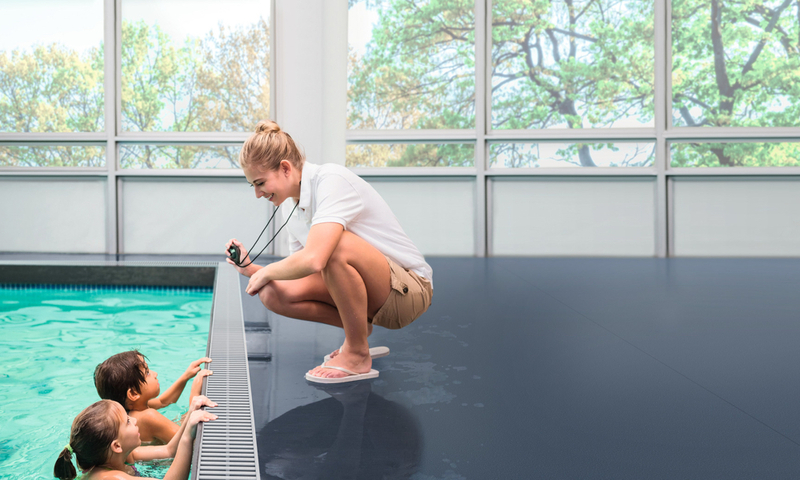 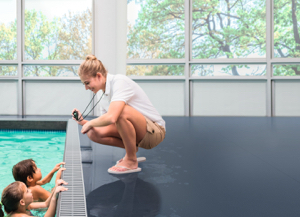 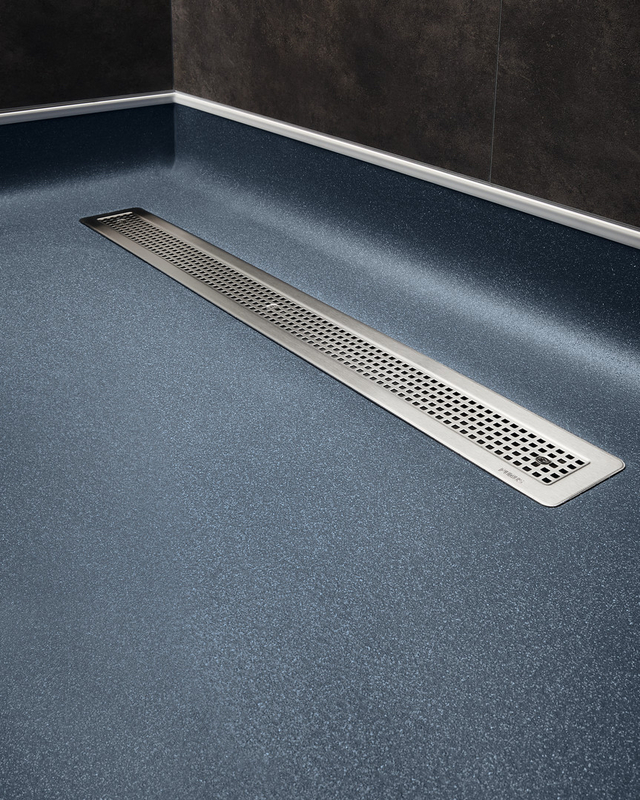 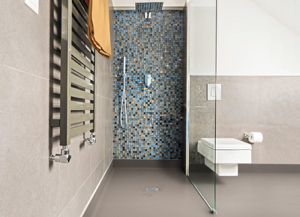 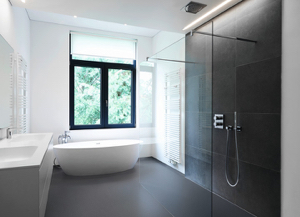 Quattro can also make a difference in education and leisure environments, where changing rooms, wet rooms, spas and pool sides require a high degree of slip resistance. 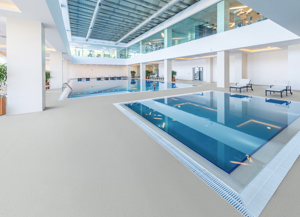 Quattro has been engineered to achieve a pendulum wet test result of 50+ (Slider 96), most importantly this performance is sustainable and assured throughout the product's guaranteed life. 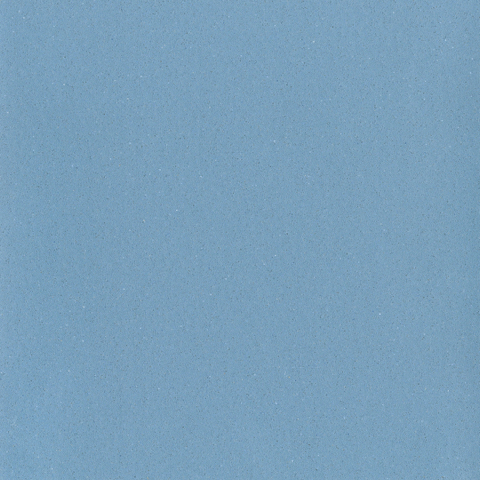 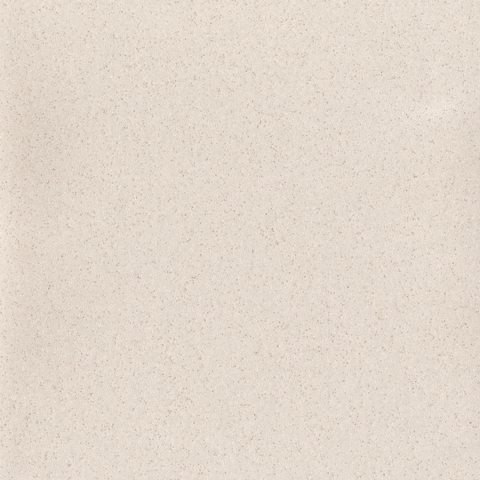 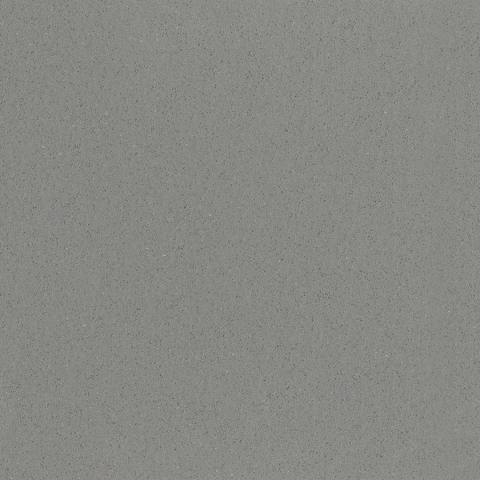 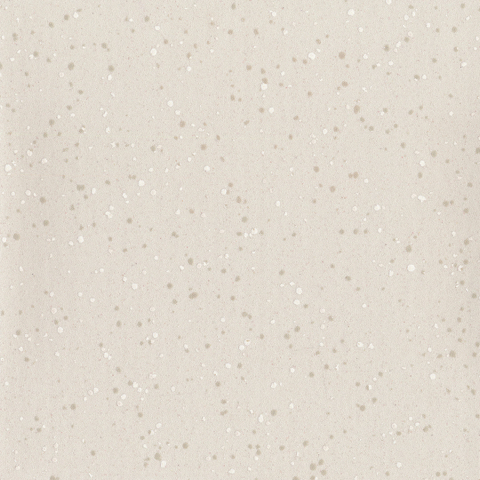 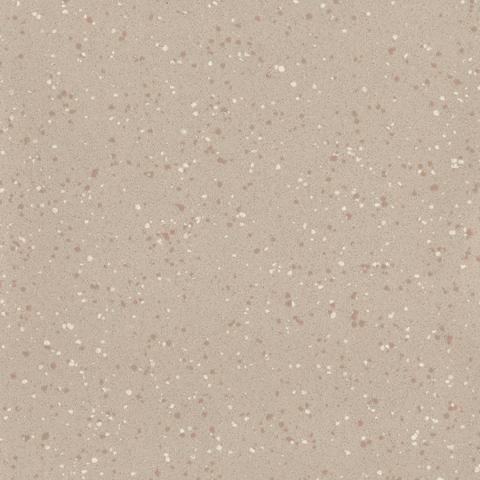 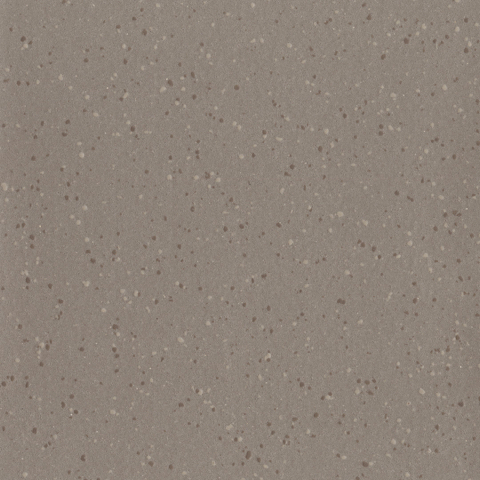 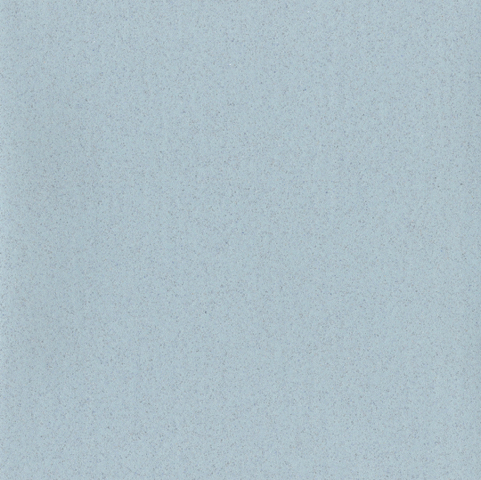 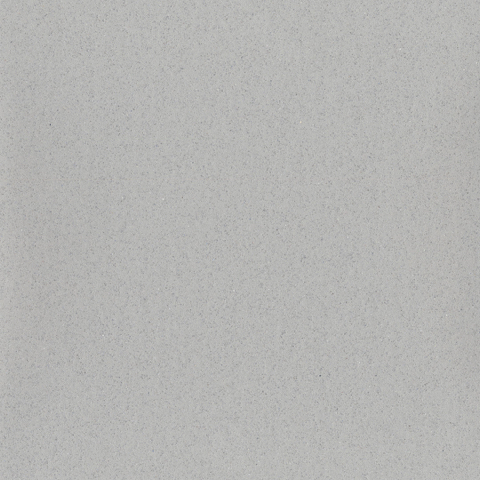 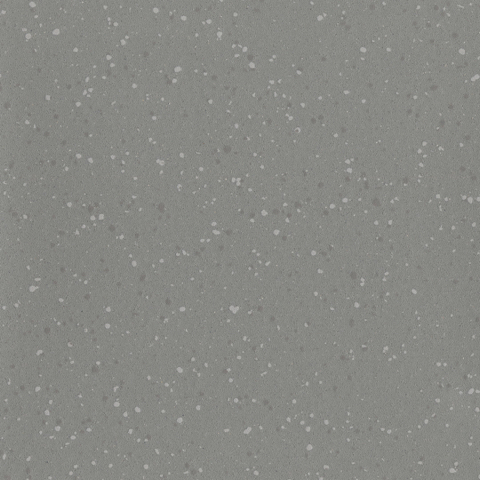 Available in 12 aqueous and subtle colours, of which 6 are chipped and 6 are unchipped. 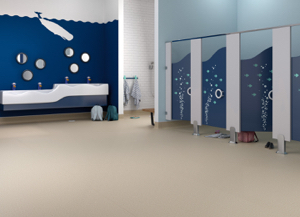 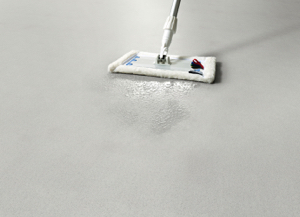 This stud-free safety flooring range offers superior comfort underfoot whilst maintaining high performance and safety.